EDIT: Never thought I'd get featured. Thank you all so much for the support! This is my first Custom PC (coming from console gaming). I purchased all the parts June - July 2017 around the time when mining was driving prices up. I built this mainly for performance with some DIY mods to make things look nice. 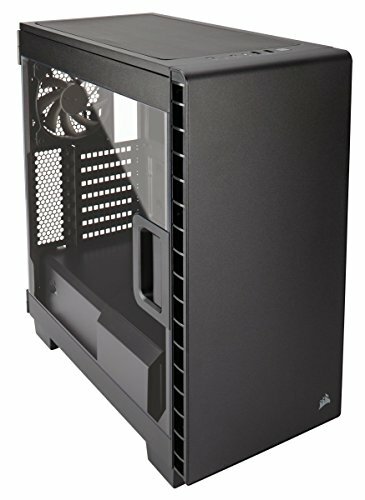 After looking around for cases I was torn between the NZXT s340, NZXT Noctis, and the Corsair 400c. After watching several of videos, I felt that the 400c would be best for me in terms of aesthetics and great air flow. I also stumbled upon the INWIN Infinity case which I thought was just amazing and is the inspiration behind this case mod. I saw the price tag of the INWIN case and that combined with lack of airflow made me run (though it did look nice). I knew I wanted to mod the case but wasn't sure how I would be able to accomplish it while keeping a clean look and slim profile. After lots of trial and error and just making things up as I went, I think it turned out pretty good. BUILDING THE INFINITY MIRROR: The total mod itself was actually pretty cheap in terms of parts. It just took a lot of tinkering around to get it to look right. For the LEDs, I wanted to make it a little more interesting than the regular 5050 LED mono color strips. I decided to go with WS2812 LED strips which have individually addressable LEDs (this basically means you can have different colors for each pixel on the strip. The frame of the mirror is actually just a cheapo wooden picture frame with glass. I got the LED strip off of eBay. They also sell the same strips on amazon. Just make sure its the WS2812 strip if you want individual colors. To control the strips, I got a bluetooth controller called SP105E that connects to my PSU via molex connector. It has an iphone app that I use to control it with bunch of modes. I could have used arduino which I might do in the future, however I just want an easy way to control the lights. If someone can point me to a desktop application that can control the lights with different patterns I would really appreciate it. I just want something that will remember the color I set it to as my current controller defaults to red on boot. Its pretty annoying connecting my phone to bluetooth then opening the app every time I turn on my PC. Anyways, I started by unscrewing the metal plate off of the front cover and then dremeling down these little plastic ridges that were holding the metal plate up. I bought a mirror from Walmart and used a glass cutter I got from Lowes to cut it to the right size. Cutting glass was pretty tricky so I had to practice with many failed attempts (had to buy another mirror but at least it was only $5. I cut up the backing of the picture frame and used it as a spacer between the frame and the front panel to give clearance for the LEDs (1cm width). Also had to cut the glass from the picture frame and luckily, I got it right on the first try. I used 20% mirrored automotive window tint I bought from ebay. Then I had to cut the frame down to size bit by bit and then I stuck it together using superglue (the loctite gel stuff is great since it doesn't run). I used wooden strips from Michaels (arts and crafts store) as spacers to get the LED positioning correctly. Then finally I drilled holes through the panel and into the frame to secure it. The center logo is a custom vinyl sticker I got from an etsy seller: OctaneVinyls. I was trying to find a vendor that had frosted glass vinyl which gives the logo a holographic floating look to it and these guys custom ordered it for me. They even do custom designs so you can have anything you like. Super great people and I highly recommend them. I previously had an Overwatch and a geometric wolf logo and currently have an infinity penrose triangle which I like the most so far. The cool thing about it is you can change the logo when you get bored of another, and it's as simple as peeling off and adding a new sticker. Same here, that's really impressive! I think he was trying to accentuate the front of the case mod he did, so if he got that and put it inside, it would detract from what the obvious main point of the case is - to look at that front. Also, I've got the exact same mobo and I'm looking to enhance the RGB, tell me more about those 3.90$ 5050 AURA compatible rgb strips?!?! I can't believe it! PROTIP: any mass produced item you see on amazon with a hilarious sounding badly translated name from China, you can probably find on ebay for way cheaper. It might just take a while to ship. Search up "5050 rgb 12v led strip" on ebay and sort the search starting at lowest price, and you'll find plenty of sellers. Make sure its 12v since that's the voltage the z270E uses for the RBG headers. Not sure if I'm allowed to link to ebay on this site but here goes: LINK This was the seller I bought mine from. Great job on the mod, the build, and being featured. Well done. Nice! What a cool modification! Your cable management is excellent too. I would advise putting the pc on the desk, you should have enough room if you move the monitors a little. Hey thanks for checking out my build. I believe the two monitors use the same panel which is amazing to look at. I don't have any first hand experience with the asus but I'd say just pick the one that looks better to you and has the best price. Performance will be the same. I got my one from acer recertified for $525 so you could try there for a deal. Love the mod!! Great looking PC! "It was at this moment I realized that the OP was not in fact a human, but a 700 million year old paleolithic sea creature." Very cool. Congrats on the featured spot! To top it off you should have got the RGB version of your CPU cooler, I made the same mistake on my RGB build. Otherwise awesome system! I'm about to do the same but i bought acrylic mirror because i want front fans over the mirror! Pretty nice build! FEAAAAATURRE! Absolutely amazing. Your work on the infinity mirror is masterful. The only thing that I can say that needs to be improved on my opinion is the cooler. Usually with CPUs like the 7700K, AIOs are pretty much the way to go. But why no mouse bungee? I hear the Zowie Camade is good, and I personally recommend the Cougar Bunker. That's is a great looking rig there. C L E A N .
mmmmmmmmmmmmmmmmmmmmmmmmmmmmmmmmmmmmmm i wish i could make a computer this aesthetically pleasing. 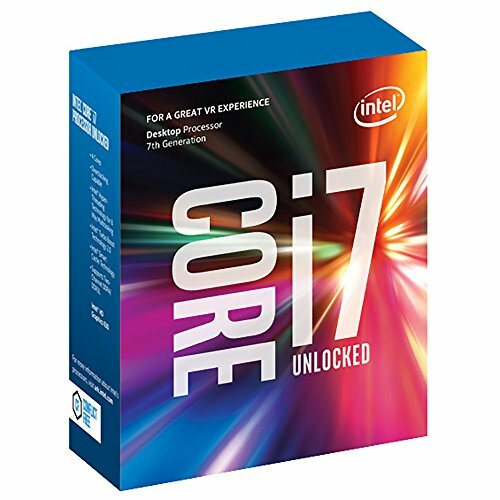 i have an H7 cooling the 4770K in my server, it works amazingly well. is there a in depth tutorial on how to make an infinity mirror? 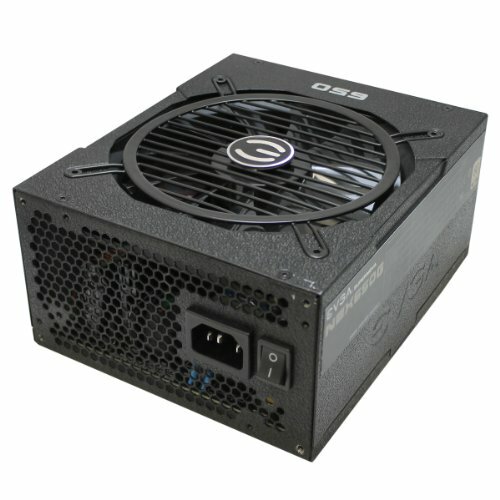 How do you turn on ECO mode on that PSU? The PSU has a little switch on the back next to the power button. Only some PSU's have the switch on them. Works great and I can never hear my PSU. The switch on the right with the "eco" under it. Sure you have the G3 650w? holy crap I actually thought it was the INWIN case until I saw the pics of you modding your old case. Nice job man and congrats on the feature! That is amazing! I have this same case, the Corsair 400C, but my dream is having an InWin Infinity, and you make this perfect combination. The only thing I can't understand is how the LEDS and mirror make a wonderful effect like that. Well, sorry for my awful english, I'm brazilian and I don't want to use any translator hahah! Hey I think your English is great! It might require a few differences to make it fit on the corsair 400c case but it is a DIY and took a lot of me just trying out different things with what I had available to me. Thanks, but I have to learn more English yet... And I will!!! Thank you again to answer my commentary. Uh, before I forget, I have an answer about the led's in the mirror: did you test them in the RGB Header in your motherboard? If yes, did you get the rainbow effect in it? I realy want to know if the AuraSync is capable to manage the Chroma effects in the LEDs stripes. The Asus z270E uses a 12v 4 pin rgb header that is compatible with 5050 LED's. It is NOT compatible with 5V 3pin ws2812 individually addressable LED strips. I really wish it was compatible as that would give me an easier way to control it. I do know that Asus makes RGB headers that are compatible with ws2812 strips but those are another line (maximus maybe?) that cost like $300. Wow that is expensive even in the US. Definitely not worth it for regular people. Plus the 5v header can only take 60 LED's which is not enough if you want to use a 60LED per meter LED strip. what a case, incredible to look at. I really like the look of the case. Good job! I don't understand the logic of buying a B-stock video card for $50-80 cheaper than new though. Especially if you're expecting it to last 3 years. Dream pc right there. Hot damn. That's the default corsair 400c front panel. It's made up of a metal piece that screws onto a plastic frame. The metal piece is held in place by some screws which I removed. By removing the metal plate, this reveals a indented region about .5cm in width which gives enough space for my mirror to be placed. Hi thanks for checking out my build. I am currently using a new controller so I can't take a picture of the setup. I actually did the same thing as you and fried an led strip because I wired it wrong. First off, are you using a ws2812b strip? If so, it uses 5v NOT 12v. I am drawing power from my psu's molex connector. Scroll down to Desktop usage and you'll see a diagram with 4 pins numbered 1-4. Pin 4 is the +5V red wire that you wire to the +red terminal of the controller. Pin 3 is the black ground wire that you wire to the black terminal of the controller. Your Molex connector should be numbered so you can tell which pin is which. Make sure you use the correct pins and wire the correct terminals on the controller. Thanks man, that's very helpful! Yes, I'm using the WS2812b strip. My PSU is modular and all the connectors have black wires, so I'll have to find a wiring diagram. I'll look into this soon and let you know! Your PC looks amazing! I'm actually planning a build with similar specs and I was thinking of mirroring your infinity mirror... Cringing because I actually just typed that I know you already explained how to make it, but I'm confused on one part. Did you put the mirrored window tint directly on the mirror or did you put it on a sheet of glass in front of the mirror? I guess I just want a better explanation on how you got the infinity effect rather than seeing a single reflection. Hey thanks for checking out my build. Looks awesome! Love the LED strip lighting and mirror fx. Congratulations. 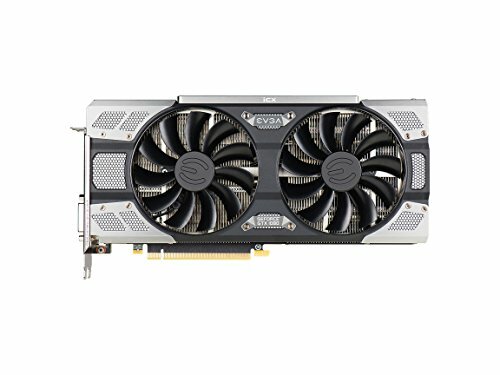 I was looking for ideas for my wife's PC Build because she doing photography for college. That infinity mirror is probably the best one I've seen thus far and I have seen a lot of them. Very smooth and beautiful build! I just got the case. I need to try this. I havent had much luck with LED strip adhesives. Have your strips had any issues? They do peel at certain points. I just used a dab of gel super glue wherever they get loose. They are being stuck to wooden strips covered with black electrical tape so I can easily remove the tape if I need to change out the LEDs. I consider this one of the more elite builds on this site. Call it the PC mile high club. What kind lighting have you got in there? Is it LED fans or white cathodesm? Looks like old thread, but you should never put PC on carpet, other than that great build looks beautiful!!! The case is a Corsair 400c. The front panel is custom built. I have some more details in the description of how I built it. How’d you do the mod? ^ This comment is full of nothingness. 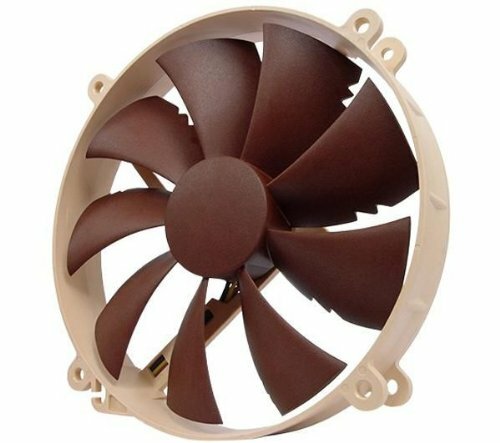 the fans are too cheap and i think they wont be able to cool down the system with a gtx 1080 in there.